‘Meet me at the Hill of the Angels,’ I said suddenly but Grace shook her head. ‘There are no angels,’ she said coldly . . . and in this new world you and I cannot be friends. 1640. 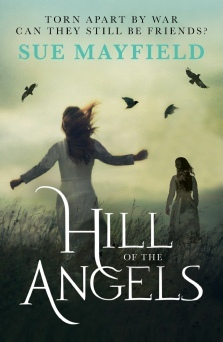 In the Pennine wool town of Middleholme, childhood friends Abigail Booth and Grace Fowler are united by a shared love of wild hills, beautiful things and the mysterious angels of their secret place.But tension is rising and bitter lines are being drawn across the land. Who is for the King? Who is for Parliament? And which side will God favour? When the Civil War erupts, violently dividing neighbour against neighbour and brother against brother, Grace and Abigail’s families are ripped apart.Will their friendship survive and their hiding place remain safe? An enthralling story about loyalty, war and the redemptive power of love. Gillian Cross, author of the Demon Headmaster series.